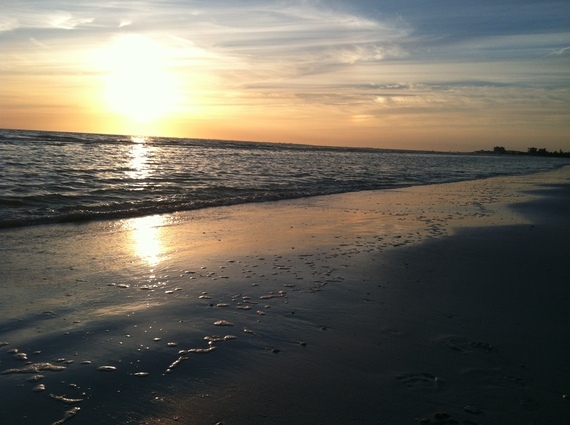 Florida is the perfect place to escape in February, when the cold is unrelenting and the spring is still too far off. This time of year, though, just dipping south of the border won't be enough. You've got to go deep into Florida to get the warmth, and there's no better place for that than Fort Myers Beach in February. Plane, train or automobile -- Fort Myers is so far south that driving isn't a great option, unless you are down for a road trip. The closest airport to Fort Myers Beach is Southwest Florida International Airport. It's a 30-40 minute drive from the airport to the beach, and taxis will run upwards of $50, so renting a car for your time at the beach may be the best bet -- it'll give you freedom to get around quickly so you don't waste any valuable beach time. Cheap local transit -- If you don't end up renting a car, there's a trolley that goes up and down Estero Boulevard on Fort Myers Beach that costs 50 cents a ride. 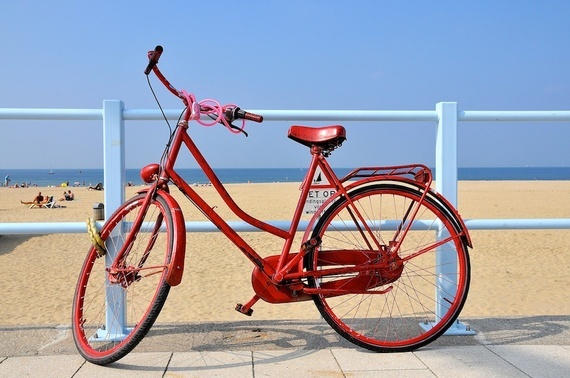 There are also a slew of bike rental shops along the beach as well. Otherwise, just walk along the beach to get where you need to go. Stay on Estero -- The hotels and resorts lining Estero Boulevard on Fort Myers Beach are seemingly endless, leaving for plenty of room to play with your budget. February isn't full-fledged Spring Break season yet, either, so there are still deals to be had when it comes to accommodations. The best thing to do is take some buddies and chip in for a room with a kitchenette. That way, you can buy some groceries at the local Publix and save money by eating breakfast and lunch at home while dashing back and forth from the beach. Watch the sunset -- When visiting the Gulf side of Florida, this really needs to be made into an event. Since you're facing west out to sea, you can watch the sun go down over the water. It is also a good time to spot dolphins in the surf. It's a beautiful sight and the sun on the water creates some unforgettable lighting, so make sure to snap a few photos. Be careful though, the sun dips below that horizon quick. Don't miss it. Bum at a beach bar -- If you get a little thirsty while basking in the sun, take a stroll down toward the pier. Whichever side you're coming from, you are bound to find at least a couple of options for places that don't care if you aren't wearing a shirt or shoes. Just make sure to remember an ID. 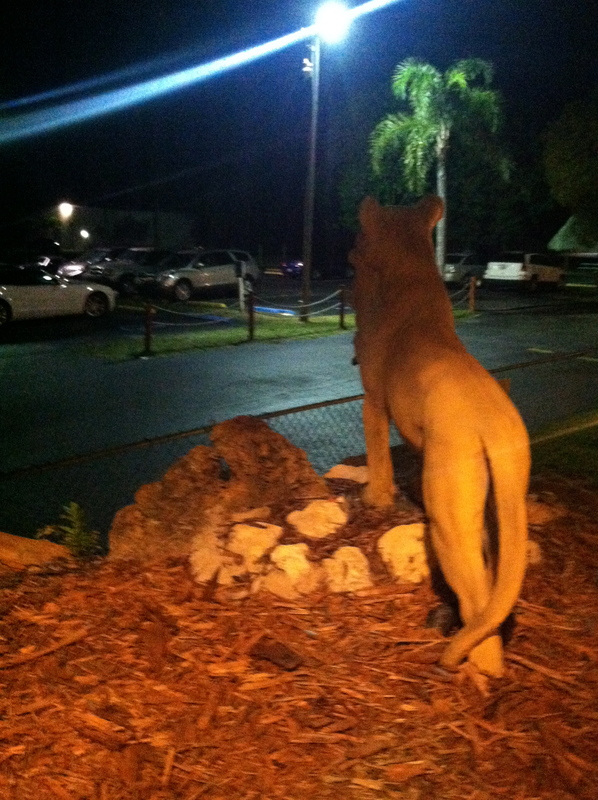 Make it mini-golf -- Spike your night with a little competition at mini-golf. You'll have to go back over the bridge to the mainland, then there are plenty of putt-putting options. Smugglers Cove Adventure Golf is pirate themed, and one of the holes is on a mini pirate ship with baby alligators in the water surrounding it. If that one's too crowded, try Jungle Golf right next door, which is peppered with statues of jungle animals. 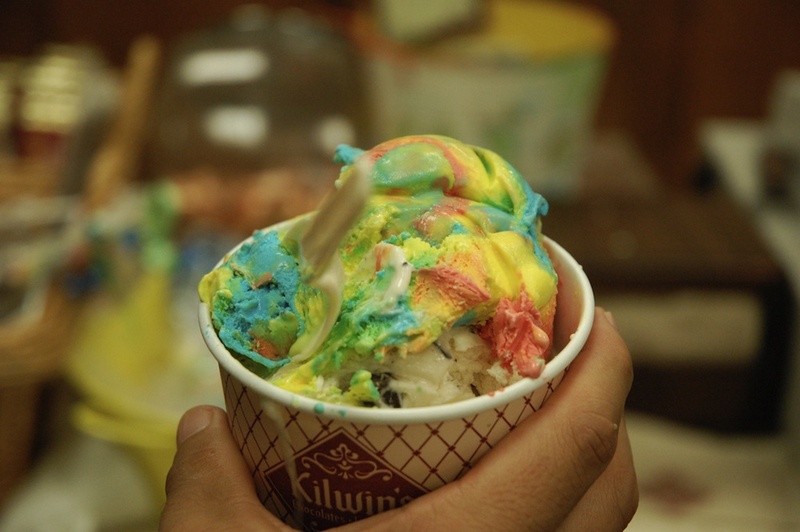 Eat ice cream on the pier -- Kilwin's Chocolates has the richest, most delicious ice cream around. Grab a couple scoops and walk out to the end of the pier to indulge. Maybe catch the sunset out there, or watch some of the fishermen haul in their catch. If Kilwin's doesn't suit your fancy, there's a Dairy Queen nearby, along with a couple other ice cream and fudge shops. 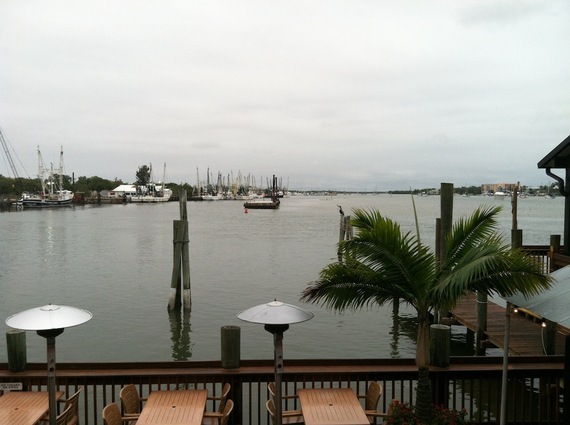 Dine on the dock -- Doc Ford's seafood restaurant overlooks Matanza's Harbor, and we recommend sitting outside. You can catch glimpses of dolphins frolicking in the harbor during dinner. While you're waiting for your food, check out some of Doc Ford's books in the gift shop: the restaurateur is also a prolific writer, with scores of books written about life in south Florida.